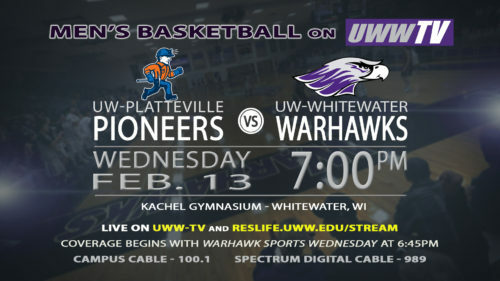 UWWTV – Warhawk Men’s Basketball to Host UW-Platteville Pioneers, Tomorrow LIVE on UWW-TV! Tomorrow night, inside the confines of Kachel Gymnasium, UW-Whitewater Men’s Basketball is set to host the Pioneers in a WIAC match of DIII Basketball. Ball toss is set for 7:00 PM CDT, but UWW-TV will be bringing you LIVE to all of the action court-side at 6:45 PM for Warhawk Sports Wednesday! The Warhawk men come into this competition with an overall record of 15-8 and an conference record of 4-8. The team is currently running a winning streak of only one and is looking to increase their consistency. The Pioneers march into tomorrow with an overall record of 14-9 and a conference record of 7-5. This team also stands at a one game winning streak and is out to maintain their positive conference record. As the NCAA DIII WIAC 2018-2019 Season comes to a close, both teams are looking to finish strong in these last couple of games. Who is stronger? Who will leave the match-up with the win? This is a contest that will keep the bleachers on their feet, so do not miss it! 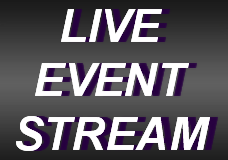 Tune in tomorrow to UWW-TV for all of the action!